You're not alone if you wonder what celebrity couples' children might look like, because many of us do. Would they be cute? Who would they look like? Would they look more like their mom or dad? Would they get their mom's eyes? Would they get their dad's smile? 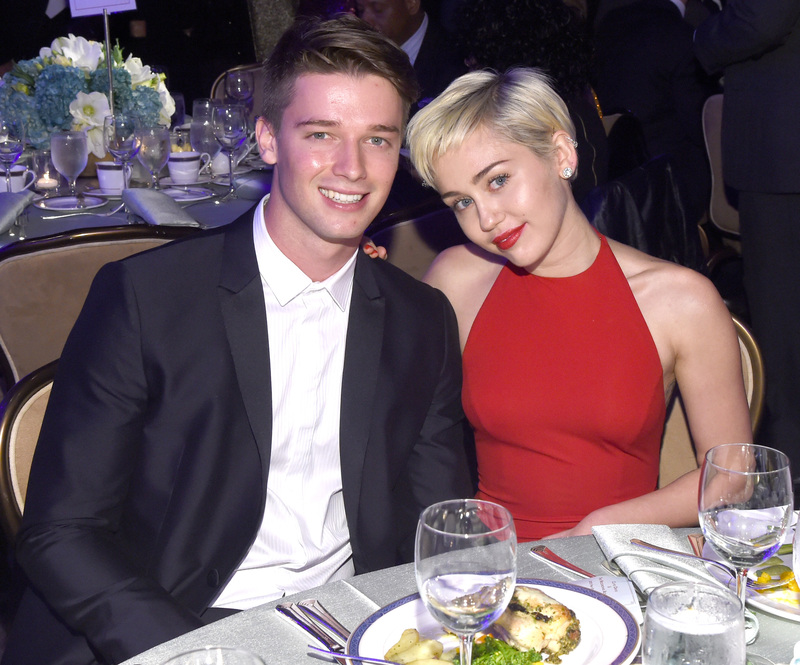 Well, if you've been dying to know what Miley Cyrus and Patrick Schwarzenegger's kid might look like, go no further, because there is now official proof! OK, it's not really "official," but Cyrus posted on Instagram a photoshopped image combining their faces to showcase what their child (as a teen?) might possibly look like. And no, Cyrus does not approve — at all. That's right, after the singer posted the image (that I'm guessing a fan made judging by the watermark) mashing her face with Schwarzenegger's she shared it for the world to see. In addition, she used one simple word to caption the interesting, yet creepy photo. That word is "ew." I have to agree with Cyrus. As I stated above, the photo is disturbing and kind of freaks me out. Now, I don't really know if the singer's intention was to showcase what their kid would look like, or if she just thought it was funny, but it doesn't really matter, because, like she said, it didn't turn out the best, to say the least. If you think about it, when anyone combines two faces in photoshop in doesn't turn out like they expect. Actually, it just creeps everyone out. So these two still could have a cute kid someday who hopefully won't go through the awkward stage seen above.